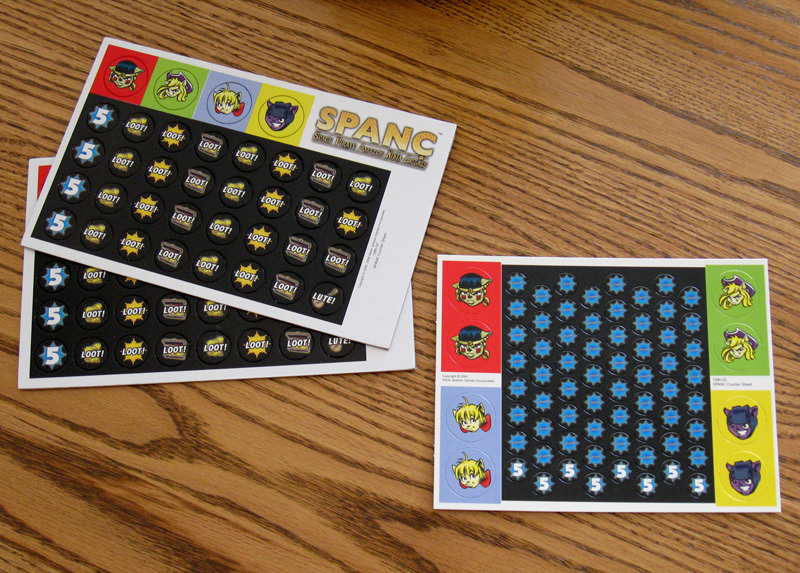 Samples of the counter sheet from the new print run of SPANC arrived the other day. They're larger than the old counters, which is hard to spot from the thumbnail image -- click through to the larger image to get a better view. Unfortunately, neither image really shows the linen finish very well. Rest assured, however, that when you're holding the counters in your hands, they feel significantly better than the old version. The files are all at the printer, and should be arriving in time for the holidays. Now you know what to ask Santa for!